I am pleased to share with you all the first Author submission to The Novel-List, courtesy of Neha Yazmin. To introverted and socially withdrawn singer and songwriter Jamie, life has no meaning unless childhood love Sarah returns to him. Roaming through life without living it, shutting the world out, he has long since given up on a potential career in music. It is only when he meets the unexpectedly inspirational Mukti, who instantly falls in love with him, that Jamie is lured out of the black hole he has banished himself to for years. Suddenly, his creativity knows no bounds and he feels torn – he has to see her, but what will she make of his tortured soul? Little does he know that Mukti has her own secrets and is just as troubled as he is. Her name translates as ‘freedom’ in her native tongue Bengali, but she is anything but free. Torn between his unconditional love for Sarah, and his undeniable need for Mukti, Jamie’s life is in more chaos than ever before. And when his estranged mother Tanya becomes intent on sabotaging his relationship with Mukti, Jamie stands to lose the two women he cannot live without. 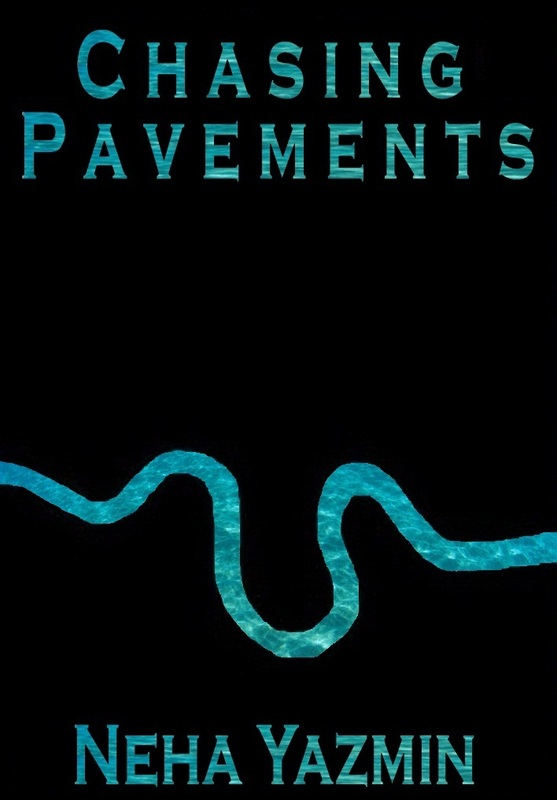 Set in contemporary London, ‘Chasing Pavements’ is a unique love story between two unique characters who will stay with you after you have turned the final page. Neha Yazmin graduated from University College London (UCL) with a degree in Psychology and now lives in London and works in the financial services sector. She writes both contemporary and paranormal romance. Her debut novel ‘Chasing Pavements’ was first published as an e-book in summer 2012. She is currently working on a number of projects. Posted in Contemporary Romance and tagged authors, Chasing Pavements, Contemporary Romance, Diesel eBook, ebooks, iBook, Kindle, Kobo, Neha Yazmin, Nook, Smashwords, Sony Reader. Bookmark the permalink.